Our senior Forests campaigners are at the European Parliament today (30 January) to sound a note of caution over an imminent EU timber trade deal with Vietnam..
Vietnam and the European Union have been in negotiations since November 2010 over a Forest Law Enforcement, Governance and Trade (FLEGT) Voluntary Partnership Agreement (VPA), a tool intended to keep stolen timber out of the EU marketplace. Even after the formal signing of the VPA between the EU and Vietnam in October 2018, many concerns remain. 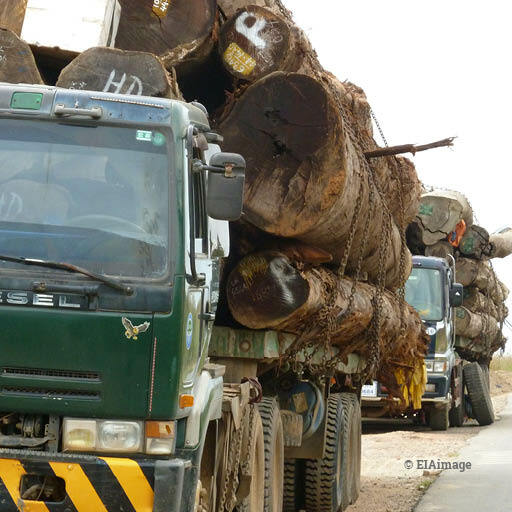 Currently, Vietnam is in the process of negotiating a separate free trade agreement with the European Union (EVFTA), potentially opening a backdoor to erode good forest governance commitments agreed under the FLEGT VPA. Forests Campaigns Leader Faith Doherty and Senior Forests Campaigner Jago Wadley were in Brussels to share this concern with the Parliament’s Committee on International Trade (INTA) to ensure ratification of the EVFTA will not provide a loophole to circumvent timber legality requirements nor undermine Vietnam’s motivation to diligently implement the necessary steps for market access under FLEGT licensing. 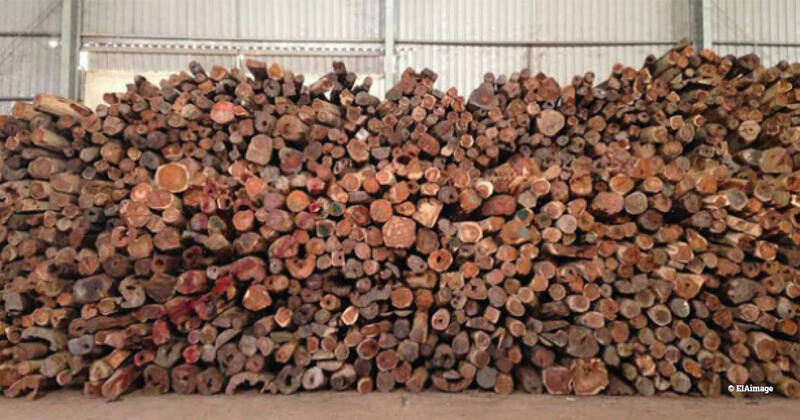 Our Forests team has investigated illegal timber trade in the region for more than two decades and has identified Vietnam as a major hub, prompting our warnings to the committee that the country should not be issued with FLEGT licences to export timber until a number of stringent conditions are met. 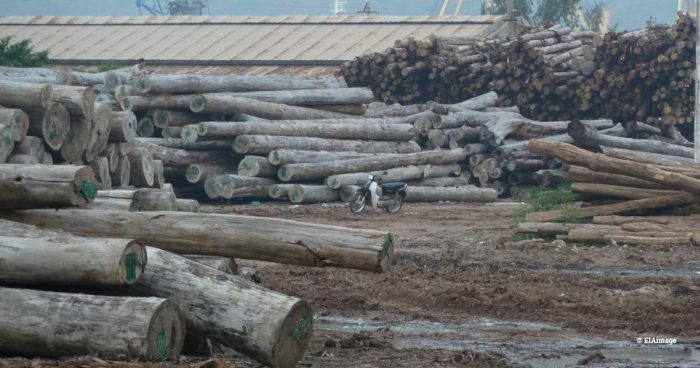 “Multiple field and undercover investigations in Cambodia, Laos and Vietnam since 2007 have resulted in us releasing eight reports exposing Vietnam’s industrial-scale theft of timber from Cambodia and Laos, widely done with the corruption and connivance of politicians and enforcement personnel,” said Doherty. In 2011, our report Crossroads exposed the role played by the Vietnamese military in a multi-million dollar operation stealing threatened timber species from dam construction sites in neighbouring Laos. Most recently, last September’s Vietnam in Violation report highlighted serious violations of the Convention on International Trade in Endangered Species (CITES) by the Government of Vietnam; just four months earlier, our report Serial Offender revealed Vietnam’s ongoing theft of timber from a national park, a wildlife sanctuary and a dam site in Cambodia. Doherty added: “A major problem is that the Timber Legality Assurance System, or TLAS, to ensure illegal timber does not end up being exported to the EU is both owned and verified by departments of the Vietnamese state, departments we have consistently demonstrated to be prone to corruption or seriously lacking in the capacity to conduct enforcement effectively. “It doesn’t bode well that these failing institutions have to date refused to even recognise their historic shortcomings. She added that the VPA would be a world first for a major wood processing hub and that the example of Vietnam would serve as a significant precedent for China, the world’s number one consumer of stolen timber. Initialling, signing and ratification of the VPA will not automatically result in the granting of FLEGT licenses and an all-clear for Vietnam’s wood exports; before that can happen, it needs to meet key conditions such as updating forestry legislation to provide the framework for an effective and reliable TLAS, not only for the export market but also for timber imports into Vietnam.